L. Citrus limonis, Ar. laimūn, taffāh mahī, Fr. 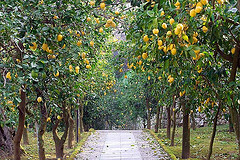 citron, Eng. lemon. It is sited in Arab works, but its role in Medieval European texts is minor. Although the Romans introduced it to Iberia, the Arabs re-introduced it by bringing it to Spain from the Persia and planted it all over Andalusia. The juice was used to preserve food with vinegar and salt. With wine it was added to sausage meat. In Christmas menus for banquets, pheasant was baked in lemon sauce. As a snack a candied cake of small lemons, eggs, milk and sugar was served. 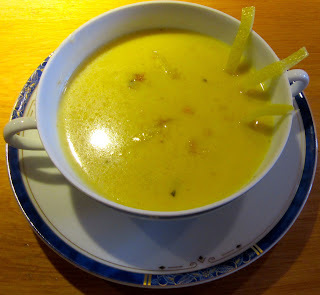 Vilanova advised that vinaigrette sauces with lemon should be made with sugar, rosewater and wine in summer and in winter with wine, weak vinegar and meat juices. Avenzoar advises that eaten at the beginning or at the end of meals they are not harmful. 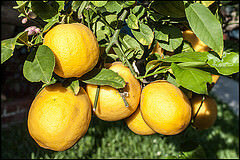 Laguna stated that lemons take away spots on the skin and on faces. Drinking it kills worms in the stomach. It breaks up stones admirably and cleans sand out of the kidneys. The essence from the flowers was used to make perfumes. Although 15 lemons were taken to Eleanor of Castile, Queen of England in 1290 they remained a rarity there due to the climate throughout the Middle Ages. 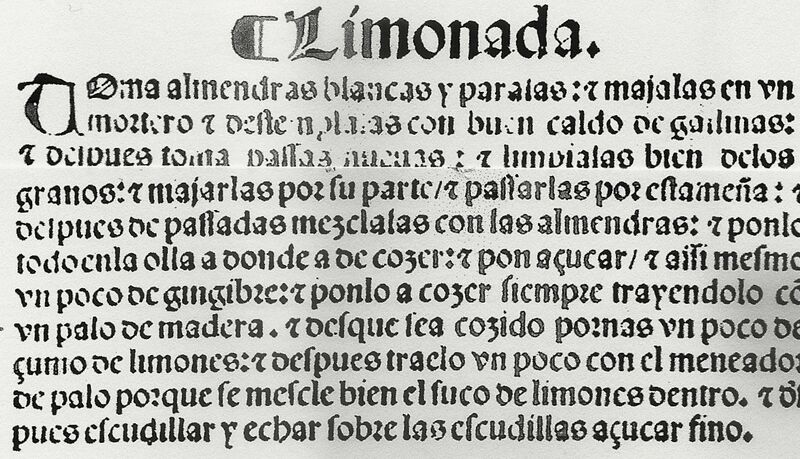 They do not appear the Two 15th C Cookery Books while they are found medieval Spanish recipes. Blanch almonds and peel them. Grind them in a food processor. Blend them with chicken broth. Remove seeds from raisins. Grind them in a food processor. Add the almonds and chicken broth and grind again. Strain through a cheese cloth into a pot. Add sugar and ginger. Cook stirring constantly for about 10 minutes. Add salt to taste. When cooked add lemon juice and stir with a wooden spoon until well-mixed. Serve in consume bowls. Garnish with sugar.